How can we begin to think about the societal transformations necessary to achieve these targets? Over the last year, two very different but increasingly popular and seemingly realistic solutions have emerged to address this question. The first is what can be labelled mainstream veganism; the second is the Green New Deal (GND). 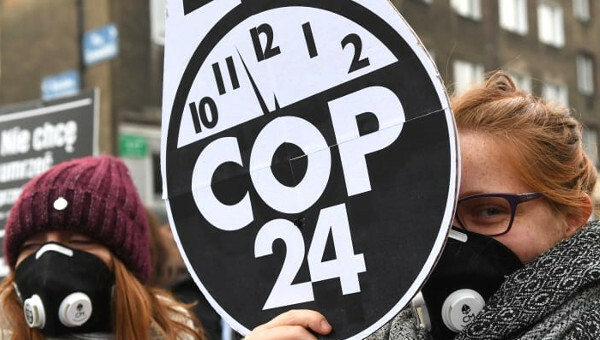 Both approaches are based on a systemic understanding of the causes of climate change and argue for mass social participation in order to meet their objectives. The appeal of mainstream veganism is the claim that by excluding animal products from our diets we could reduce food’s land use by 76%, and food’s greenhouse gas (GHG) emissions by 49%. Such a transformation could feed the projected 10 billion people that will populate this planet in 2050. It could help conserve the world’s wild animal, bird and insect species. And it could enable large-scale reforestation. The rise in the popularity of veganism, reflecting a desire by increasing numbers of people in rich countries to make a real difference to the fate of the planet and of humanity is, without doubt, a positive force. But there is a big mismatch between what mainstream veganism sees as the systemic problems of the global food economy and its individualist solutions to overcoming them. What we need, to avert climate catastrophe, is a systemic approach to comprehending and transforming the current global food economy. The global food system is characterized by a mega contradiction. On one hand, agricultural productivity has increased worldwide: per capita food availability rose from about 2,716 calories per person per day at the turn of the millennium to 2,904 calories in 2015-2017. On the other hand, the food system, in particular meat production, is very wasteful. Huge amounts of land, water and grains are dedicated to animals to grow meat. The industrial food system, based on ever-greater expanses of monocropped land, generates around one third of all GHG emissions and contributes to deforestation and groundwater pollution. Workers in much of the industry suffer from dangerous conditions and low pay. On top of that, around 800 million people globally suffer from malnutrition. Mainstream veganism’s claim, that changing our diets can save the planet, assumes that the spending power of consumers in richer nations will dictate what is produced. But what about those people with very low levels of purchasing power? Currently around half of humanity live on less than $5.50 a day. The purchasing strategies of the world’s poor are driven primarily by imperatives of survival. For rich-world campaigners to preach the environmental benefits of dietary change to the world’s poor contains some element of a neocolonial mindset. Moreover, even if global food supply did shift toward plant-based production, widespread global poverty means that without more fundamental change, the world’s poor would still be unable to afford adequate food. And it is not just meat production that is so damaging to the world’s environment. Since the Green Revolution, agriculture has become increasingly industrialized and dependent on fossil fuels – in the form of fertilizers, pesticides, and their application through tractors and other energy intensive machinery. A major problem of veganism’s customer-driven model of change is that the industrialization of agriculture is not an outcome of consumer choice. 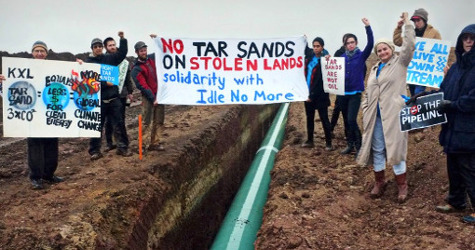 It emerged from, and is sustained by, large-scale planning, subsidies and investments by states and corporations. This means that even if millions of people did change their diets, the economic price signals of such decisions would have little effect on the overall food system. Understanding how these investments, subsidies and planning regimes underpin the global food system provides us with a road map of what needs to be challenged and transformed if we are to meet the carbon reduction targets required for a sustainable planet. Starting in the 1930s, and expanding following the second world war, the United States instituted a massive system of subsidized agriculture, focusing particularly on feed grains: corn, grain sorghum, oats, rye, and barley. The U.S. was responding to agricultural overproduction, falling prices and widespread farmer impoverishment, as captured by John Steinbeck’s Grapes of Wrath . Its agricultural support programme guaranteed farmers a price for their produce, to protect against market fluctuations and price collapses. It ensured long-term overproduction of feed crops. Following the second world war, excess supply was exported to emerging economies, and was often sold below cost price. The European Union followed suit with its Common Agricultural Policy in 1962. These exports underpinned third world industrialization by keeping wages down, and provided super cheap feed crops to expand livestock production. The industrialization of agriculture is also brought into sharp perspective when we consider the recent history of the chicken – now the most consumed animal across the globe. In 1960 less than 400 million chickens were slaughtered for human consumption every year. Today the number has risen to over 60 billion. Until the early 20th century, chickens were relatively expensive and usually consumed for special occasions. As Wilson Warren documents, in some parts of the U.S. chicken was more expensive than lobster and venison. The rarity, and attraction, of chicken consumption was captured by the Republican party’s promise to put a ‘chicken in every pot’. How did this come about? A combination of public research, business enterprise and private sector science during the first half of the 20th century gave us the ‘industrial chicken’. Compared to its pre-industrial predecessor, the modern industrial chicken is fatter, grows faster, converts grain into flesh more efficiently, and has stronger legs (to withstand its greater weight). Similar dynamics, although less extreme, have characterized the pork and beef sectors. Changing our diets, even en masse, will do little to challenge this state-backed global food system. Only large scale, well-funded and sustained state interventions will realistically challenge and transform the global food system. 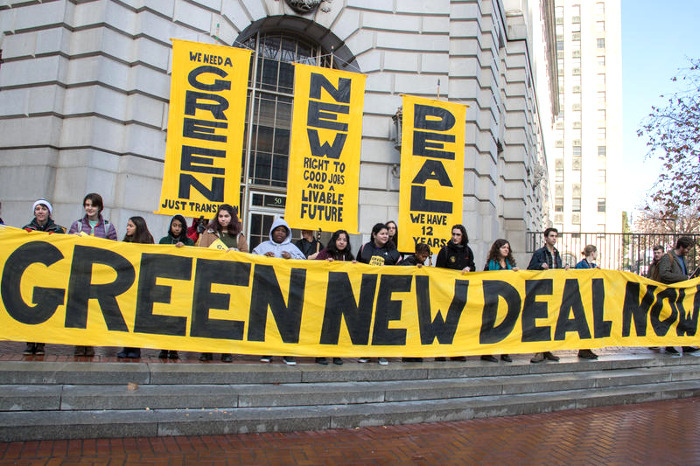 A socialist Green New Deal (GND) sees states as generating well-paying green jobs and investments in industrial and urban sectors. 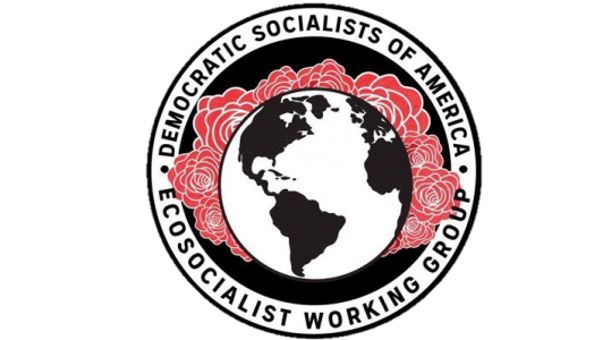 It also aims to work with farmers “to eliminate pollution and greenhouse gas emissions from the agricultural sector.” A socialist GND would entail a major shift in power, away from capital and toward labour. It would entail the democratization and socialization of major energy systems and resources by placing working class communities at the heart of the transition. 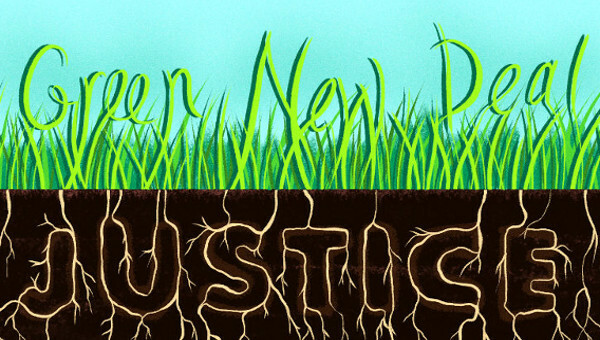 The Green New Deal’s objectives of decarbonizing agriculture could be met by redirecting subsidies away from meat-based factory farming toward vegetarian-based family farmers deploying varied cropping systems. This would generate well-paid jobs and contribute to agricultural diversification. Green New Deal policies could also redirect fossil fuel subsidies to finance community restaurants making and selling affordable, nourishing and tasty food, sourced locally from family farms. It could use the state’s mega purchasing power in schools and public health services to generate rising demand for organic food and alternatives to meat.